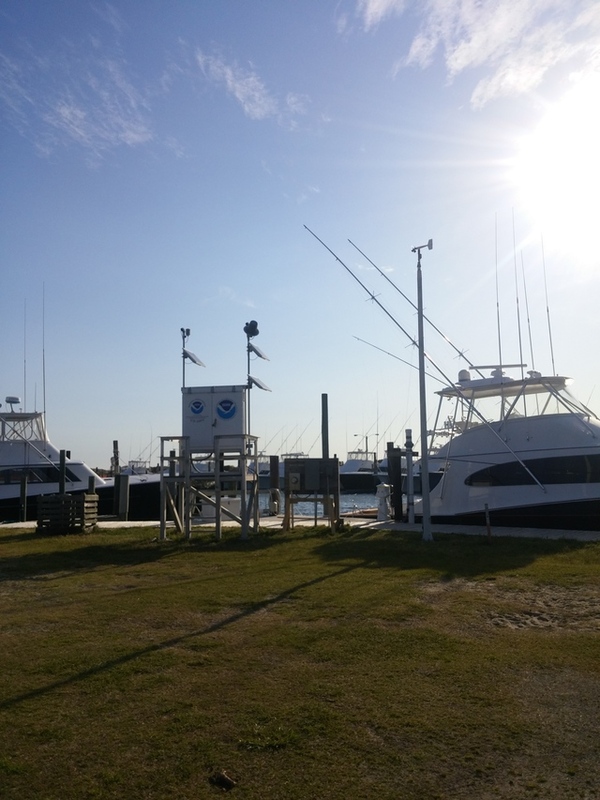 12:08 AM high 1.2 ft.
7:40 AM low 0.2 ft.
1:05 PM high 0.7 ft.
7:03 PM low 0.3 ft.
How to reach: To reach the tidal benchmarks on the outerbanks, proceed south on State Highway 12 to Oregon Inlet. The benchmarks are in the area near the Oregon Inlet Marina at the north end of State Highway 12 (Herbert C. Bonner) bridge over the Oregon Inlet. The tide gage is located on the west side of the marina near its entrance from the bay.